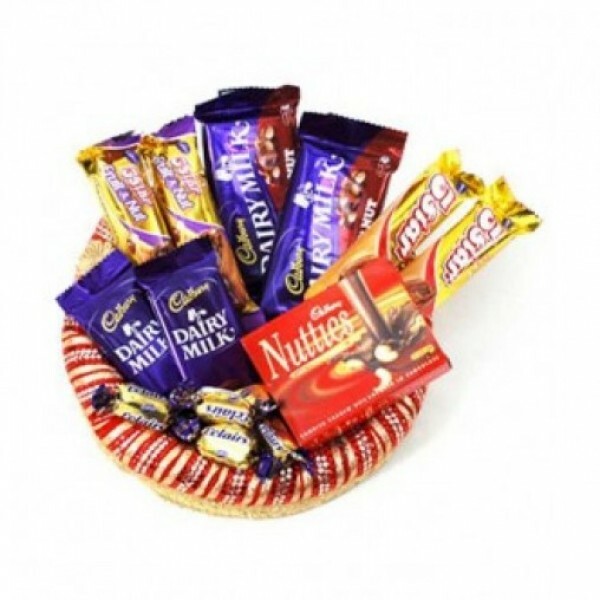 This Gift Hamper is a Chocolate Blast. It contains 4 5Star chocolates, 1 Cadbury Nutties, 2 DairyMilk Fruit & Nut, 2 DairyMilk Bars and 10 Eclaris. It is a sinful indulgence.